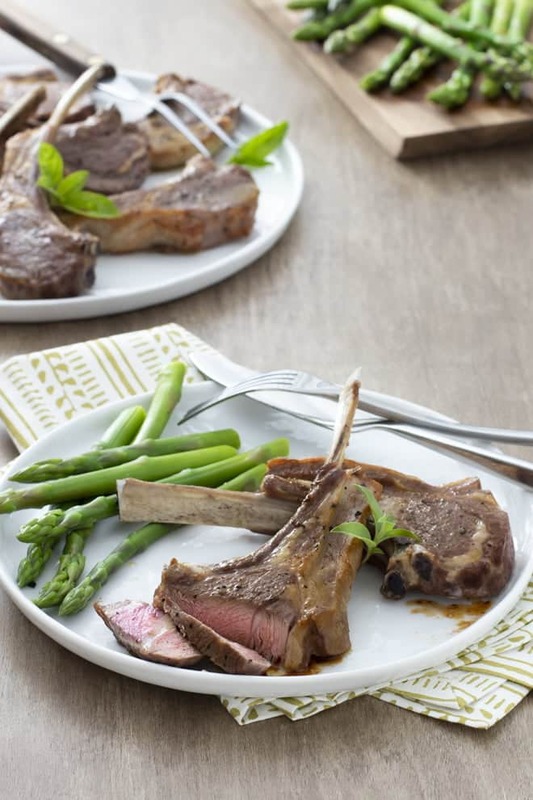 There’s nothing like tender, juicy lamb chops—here’s everything you need to know to cook them perfectly every time. Are you a lamb chop fan? I sure am. I love all kinds of lamb, actually. But there’s nothing like tender, juicy lamb chops. They’re quick-cooking, they’re flavorful, and they’re easy peasy to make. Honestly, the only thing that’s even a little challenging about cooking lamb is finding it. My supermarket selection is pretty puny. So I go to a good butcher, and even if they don’t have what I want—lamb or otherwise—they can usually get it for me in a day or two. 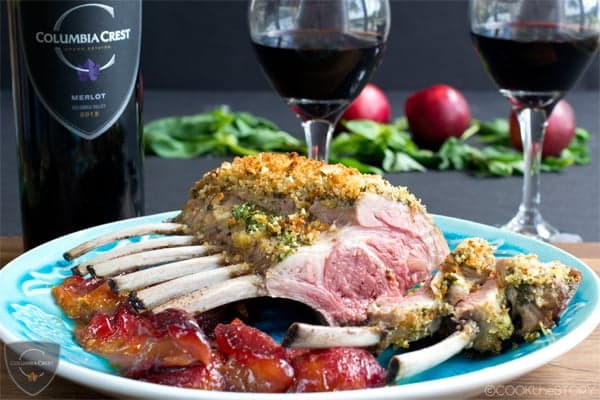 Once you find your lamb, you might find several different kinds of chops. There are lamb loin chops, rib chops, sirloin chops, and shoulder chops (sometimes called blade or arm chops). All come from slightly different parts of the lamb. 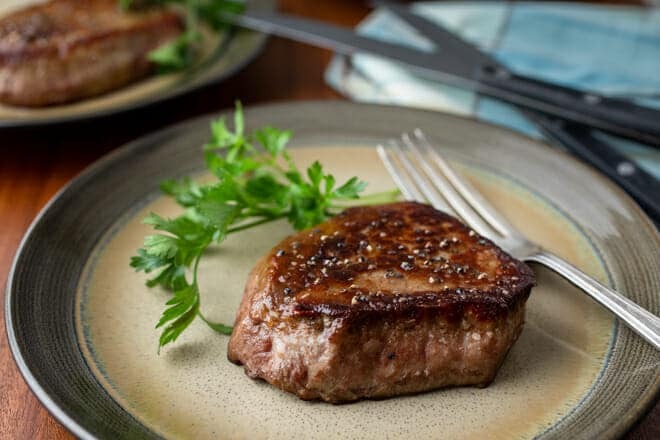 Sirloin and shoulder chops tend to be larger, so one can make for a serving, while rib and loin chops tend to be smaller, so two (and sometimes even three) are usually good for one serving. They also vary in thickness. Loin chops, which look like tiny T-bone steaks, are about 1 1/4 inches thick, while rib chops (that’s what I used in the photos here) are about 3/4-inch thick. And sirloin and shoulder chops can be anywhere in between. 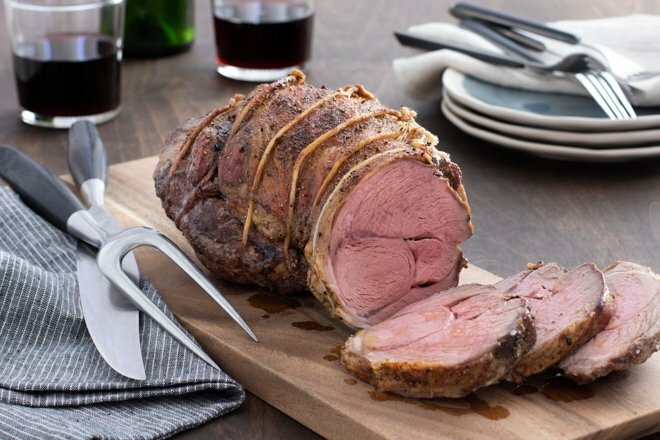 When it comes to cooking, think of lamb like you think of steak. Like steaks, lamb chops can vary in thickness. Like steak, lamb can be enjoyed rare to well done. And like steak, it tastes great with a nicely caramelized crust on the outside. So like steak, it’s best cooked at a relatively high temperature for a short time, so the outside can get browned before the inside is overdone, and you just adjust that cooking method slightly depending on thickness. 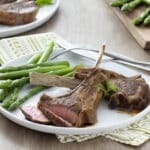 Also like steak, lamb chops can be cooked in a skillet on the stovetop, in the broiler, or on the grill. But since there’s less clean up, I prefer the broiler or grill. (Broiling or grilling also means I can cook more at once. Yay!) Three or four minutes per side and—done. The recipe below is basic, seasoning the lamb with just salt and pepper. But don’t let that keep you from adding herbs and spices as you see fit. Lamb is great with smoked paprika and cumin, with rosemary and garlic, and with lemon and mint, to name a few. Experiment and enjoy. I’m sure you’ll end up loving lamb chops as much as I do. Preheat the broiler and arrange a rack about 4 inches from the heating element or prepare a grill to medium-high heat. Meanwhile, season the lamb on both sides with the salt and pepper. Broil or grill the lamb until done to your liking, 3 to 4 minutes per side for rare and 5 to 6 minutes per side for well done, depending on the thickness of the chops (see note). 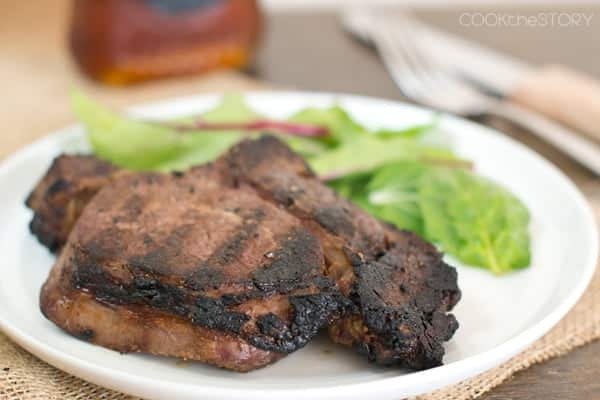 Typically, rib chops are about 3/4-inch thick, loin chops are about 1 1/4 inches thick, and sirloin and shoulder chops can be anywhere in between. Thicker chops will need 30 to 60 seconds per side longer than thinner ones to get to the same doneness.